The New England Patriots are Super Bowl LI Champions! 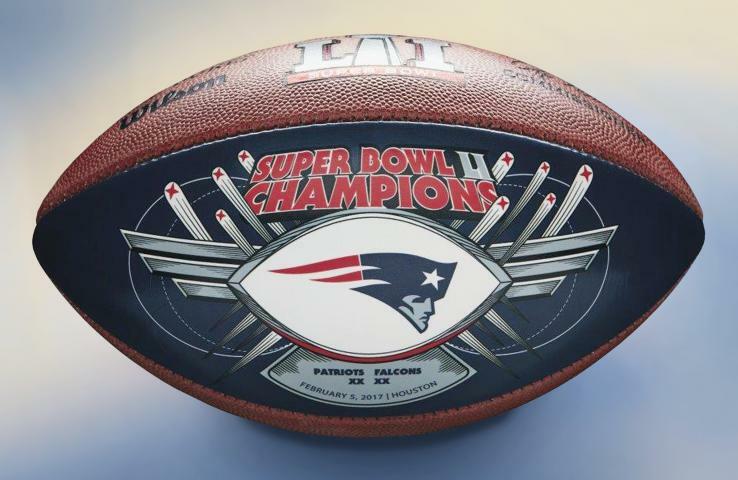 This special Patriot blue panel commemorative game ball was created by Wilson so Patriots fans could proudly display yet another piece of memorabilia honoring the team's record-setting Super Bowl Championship season. 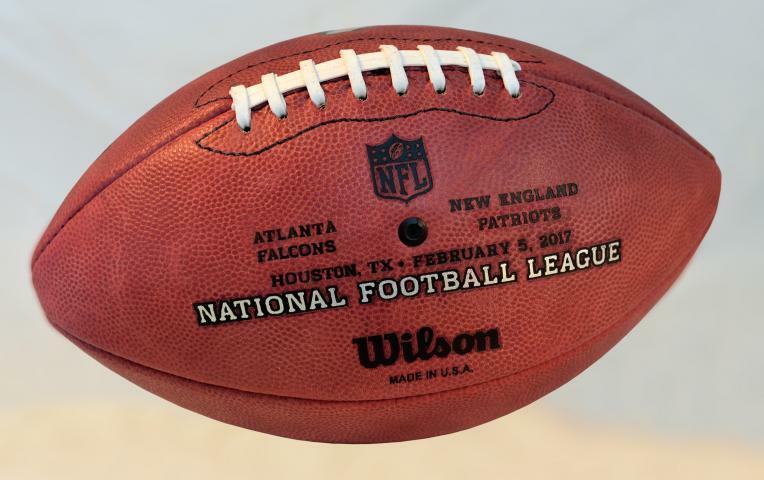 This game model ball is the same as the balls used by the NFL but features a special panel on which appears the team logo, Super Bowl logo, score of the game and other important details. It is the ideal display ball for any shelf in your home of office. To ensure we reserve a ball for you we will charge your credit card for the full price immediately upon taking your order. We will confirm your order by Email. This ball IS NOT game used. Please allow 3 to 4 weeks for delivery. 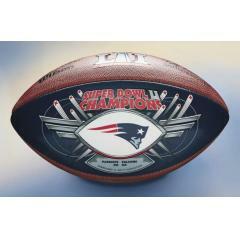 Patriots Super Bowl LI Champions Commemorative BLUE Game Ball $129.95 Sold Out!